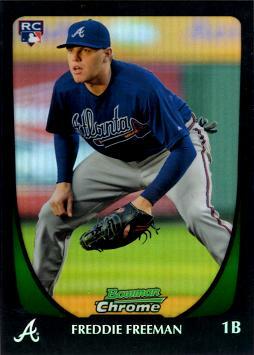 This is an authentic Freddie Freeman Autograph Baseball Rookie Card produced by Bowman Chrome in 2011. The bottom of the card reads "Topps Certified Autograph Issue. ", guaranteeing the signature is authentic. 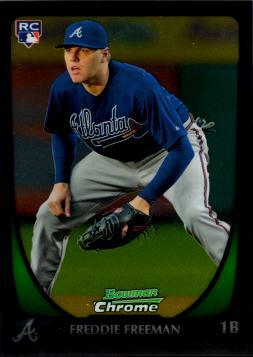 And this card features the "RC" logo in the upper left corner, indicating that this is a true rookie card. 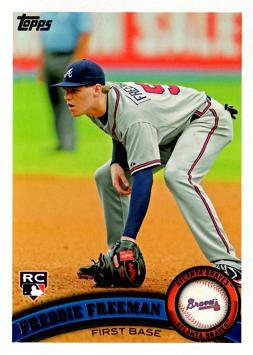 This is a rare Refractor version that is serial numbered to 500, meaning only 500 of these cards were made. 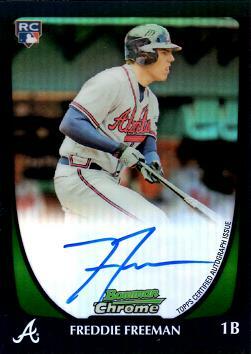 2011 Bowman Chrome Refractor Autographs #205 - Only 500 made!